Constructed between 1905 and 1911, this two-story, side-gabled house resembles mill housing in the area. It is three bays wide and single-pile with a near-full-width shed-roofed wing and a modern gabled rear ell. The house has plain weatherboards, six-over-six wood-sash windows, including paired windows on the first- floor façade, a 5V metal roof, and an interior brick chimney. The replacement two-light-over-three-panel door is sheltered by a full-width, hip-roofed porch supported by chamfered posts. The porch extends around the left (east) elevation, sheltering an entrance on the left gable end. Earlier, flat-roofed porches on the façade and left elevations were removed and this more appropriate porch installed in their place. A later picture window on the left end of the façade was also removed and the paired six-over-six windows installed. A gabled rear ell has board-and-batten sheathing. The interior maintains much of its original beaded board walls and ceilings. 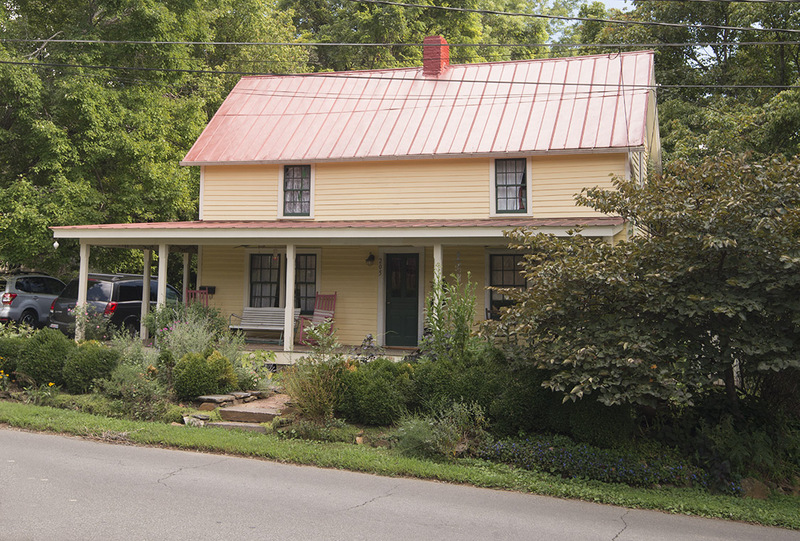 The house appears on the 1911 Sanborn map and the gabled rear ell dates to 2010.